Breakfast at the Waffle House–not a way I start out many of my days, or to the best of my recollection any day prior to this one, but after checking out of the La Quinta Airport Hotel in Albuquerque with my friend Cristopher, we headed over. I walked through the door that actually felt more like a time portal, since it was 1953 on the other side. There were two Quakers at one booth, an ancient couple with smiles on their faces enjoying their breakfast at another, and sitting at the counter was a jovial, red- faced man in his mid sixties. Behind the counter stood several waitresses in matching uniforms. “Sit wherever you like” bellowed one of them from behind the counter. Followed by” Be right with you” We didn’t have to wait for menus to appear since the laminated place mats on the table served as both. Julia (identified by her name tag) asked “what’ll it be boys” with a friendly unpretentious smile. “Do you have turkey bacon or turkey sausage”? I asked. Her non-verbal reply said ” Oh silly city boy of course not” but she smiled again and said “nope, just pork” I ordered some eggs, hash browns and settled for regular sausage–which of course I prefer but was proud of myself for at least attempting to eat the healthier version. Cristopher had the Mama Mountain breakfast–eggs, pancakes, bacon etc! Julia was chatting away behind us with a regular customer about nothing in particular. I was struck by how pleasant the conversation was and how you could feel their genuine fondness towards one another. I wondered how long they had known each other. Had he been coming in to the Waffle House for months? Years? As she was talking away, she called over to the other two waitresses and pleasantly shouted “I wonder if the boss over at the Denny’s does this”? “Who sticks gum under the table when there are perfectly good napkins to stick it in right there in front of them”? She wasn’t angry just wondering out loud, while taking a moment to feel pride in the fact that she was the Assistant Manager of The Albuquerque Airport Waffle House. Cristopher dropped me off and we did the curbside goodbye that you see so many people do. You want to spend more time together, after a great week, but are mindful of others arriving at the airport behind you, so you cut it just a little shorter than you actually want to. It’s such a treat for a New Yorker to arrive at an airport that’s not Kennedy or Heathrow. How is it possible that there is no one at the counter other than two, not one, but two airline representatives waiting to assist you! Why then did I still have to check myself in at the computer? That old familiar sense of annoyance started to well up in me, especially since as I was asking questions and there was no one else there, Celia the airline representative managed to remain distracted and ignore answer my questions. Even after attending a retreat for almost a week focusing on kindness and peace, its amazing how quickly that sense of irritation stirs. I almost said” hello can you please pay attention” but didn’t, so some of what transpired that week must have rubbed off. She continued to help with the process–if still slightly distracted. I asked if there was a window bulk head or emergency exit row as I always do (even though now you have to pay for that)” no” she replied. As she finished checking me in, a colleague of hers came over and just changed the seat on my boarding pass, apparently it was a different plane than they originally planned to use. 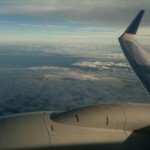 When I asked if it was a window seat (which is what I had) she just said “no” –that was twice now in rapid succession I heard one of my least favorite words, my sense of irritation continued to heighten. “I have to sit in a window seat, which is what I reserved–over a month ago” I said unapologetically. She accommodated my request very matter- of -factly. Celia handed me my boarding pass and said “thank you” I responded in kind and started to walk away. I noticed there was no tag on my suitcase that was sitting on the scale, so I asked Celia “Is everything OK with my bag” “Oh I’m so glad you asked, where is the bag tag”?, she started to look around–more irritation. She found it, attached it to the handle, then looked up and said “Oh your bag is overweight, it will cost $50 or you can take some things out and put them in your carry on” At this point, as you can imagine I was not a very happy passenger. “Can’t you just let it go, no one else is here and its only 10 lbs, what’s the difference if I take it out and carry it on the plane or it goes in the bottom, it’s the same amount of weight”? Logical right? “No I’m sorry I can’t do that, but you can speak to the supervisor if you want to”? “OK, please get him” Now it was going to be a challenge, me against the airline, against corporate America, I was going to rage against the machine and stand up for fellow humans everywhere who have obstacles thrown up in front of them by faceless corporations at every turn and besides, I didn’t want to pay $50! Celia came out of the back looking very sheepish and said “My supervisor is in a meeting” to which I responded “Well tell him he has a customer out here who would like to speak with him for a moment” She asked the colleague who changed my seat if she could do it, hhmmm she certainly wasn’t sticking her neck out for me. So I started to take things out of the suitcase and fill my little emergency bag. “How much is it to check a second bag” I didn’t feel like lugging around another bag all day from Albuquerque to Dallas and then Dallas to New York. “Oh that’s $35″ I started to wonder why Celia didn’t say a second bag was $35 right away, rather than charging me $50 for an overweight one. Oh and by the way the reason I didn’t have to pay for the first one was because I had a Continental Airlines Chase credit card. When did the world get so complicated? The manager/supervisor guy finally came out of his meeting. Celia had gone in the back and asked him if he could waive the extra charge during the process and he said no. I looked at him and thought, I’m going to concede. Not my usual approach to things but I just didn’t want to deal anymore or participate in an adversarial situation, I was still in my happy zen place after all. Victory to “the man” on this one. So where is the meaningful encounter in all of this you ask? Celia brought me my second bag check ticket, looked up at me and said “Thank you for not screaming at me” and with that one statement all of the tension and aggression melted away. “Why would I scream at you” I asked and in another moment of pure vulnerability and human connection she simply said “Because most people do” All of sudden I saw it as clear as could be. Here was a nice woman who was just doing her job and fighting the same rules that she hated as much as everyone else did. She was no longer Celia the airline representative she was Celia the person, the mother, the sister, the fellow human being. She looked on either side to see if anyone else was listening and then shared with me that “the company” had instituted a system where each representatives initials go on the bags that they check in and that they are periodically reviewed somewhere in the process to see if they are overweight. If they are she said it can be considered “stealing” and she could lose her job, so she just can’t let these things go through like she used to. It was such a metaphor as to how the world works now. I told her I completely understand and that I wouldn’t want her to do anything that might put her job at risk. She was trying to do the best she could and work within the restrictions placed on her. Did it matter to Celia if my bag was 10 lbs over the weight it should be? Not at all. Did it matter to her that she kept her job? It certainly did and it did to me too. So what started out as a moderately unpleasant encounter ended up in a place of human connection and understanding. Thank you Celia that may have been the best $35 I spent on the whole trip. A few hours later I boarded my flight from Albuquerque to Houston. Somehow I have never actually set foot on Texas soil but have traveled through the airport many times. Note to self, set foot on Texas soil on upcoming adventure. I was seated in the very last row–something I never allow to happen, but looks like the lady at the check in counter (not lovely Celia) had the last word. 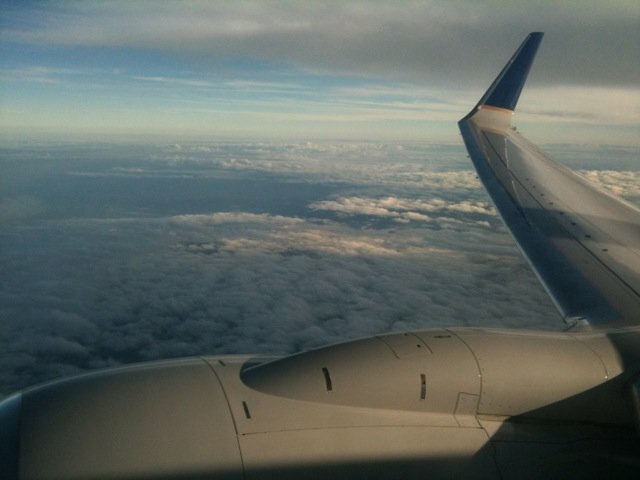 The flight attendant was standing at the very back of the plane; we smiled at each other as I took my seat. “They stuck you in the last row huh” “Yup, how did that happen” I asked. “Guess I wasn’t paying attention” “Well let’s see what happens, if the plane isn’t full, I’ll move you. “Thanks” I replied. No one was sitting next to me so it really wasn’t that bad. They closed the plane door and the flight attendant said “There’s an emergency exit row window seat available would you like it”? Yes I would. So I grabbed my stuff and off I went. What I didn’t realize was there was someone in the emergency exit row aisle seat. The guy sitting there was a big, burly hard looking man, grey hair, weathered skin, big rough hands, wearing sandals that revealed a black nail on his big toe. In addition to that he smelled like cheap wine. He was polite enough when I sat down. His first comment to me however was “what are they doing, why ain’t this POS moving (POS is short for something in case you missed that). My airplane force field immediately went up. I had no desire to listen to this man complain to me for the next 90 minutes. In addition to smelling like cheap booze and wanting to commiserate with me, he was taking up the entire center armrest and encroaching on my “air space”-ha! a clear breach or airplane etiquette. For a split second I thought about dashing back to my solo-seat in the back row, but decided against it as I didn’t want to offend him or seem unappreciative to the flight attendant who went out of her way to be nice. So I just started reading my Time Magazine and settled in for my 90 minute flight. About 20 minutes into the flight he asked “Do you have a newspaper I can read I grabbed the wrong damn book” Sure, I replied and handed him my Wall Street Journal, he looked disappointed. Not as disappointed as I was watching him mangle my pristine newspaper that I hadn’t even glanced at yet. He was originally from the Pan Handle of Texas, lived in LA for a while and then moved back to New Mexico about an hour outside of Albuquerque. He told me he’d be happy to show me some of the hiking trails that no one else knew about since he’s spent so much time out there. Then he looked at me and said” here take this book” I ain’t got no room for it on my trip. I was a little bit surprised to see that it was a history book called Cherokee Removal Before and After about the Trail of Tears. He also handed me his business card and said I should look him up if I get back to that part of the world. We’re all too familiar with the phrase “Don’t judge a book by its cover” yet we all do it way too often. Marcus was a decent, hard-working guy, who was proud of his family and a reader of history. He was on his way to a place I had never heard of to do a really difficult job so the engines in our cars run and the lights in our houses go on. How may people think of the Marcus’ of the world when they flip the light switch in their living room or start the ignition in their car? As I left the plane I shook his hand and he shook mine. ”Safe travels Marcus it was a pleasure meeting you and thanks for the book” “It was a pleasure meeting you too” I think we both really meant it. It was just another reminder that people will surprise you in the best possible way if you let them.